First it was the shocking tweet that funding was secured and Tesla may go private, then a statement that the money wasn't locked down after all. Two weeks later it's never mind, the whole deal is off. "Prior to the go-private episode, his credibility was in question, although investors still had overall confidence in the guy," Erik Gordon, a business and law professor at the University of Michigan, said Saturday. "This whole go-private episode has taken his credibility close to zero." The bizarre story began on August 7 when Musk, while driving to the airport, tweeted he was considering taking the company private and that funding had been secured for the deal. Investors would be paid $420 per share, a 23% premium over the August 6 closing price. No other details were given, but Tesla's stock shot up 11% that day. At $420, buying all Tesla shares would cost around $72bn. Then, in a blog post six days later, Musk wrote the money wasn't locked down, revealing that Saudi Arabia's Public Investment Fund was the source of the cash but was still doing due diligence. Musk said the Tesla board and some big investors had been told he was considering taking the company private before he tweeted that information. He said he tweeted the disclosure so everyone could have the information. Musk, who owns 20% of Tesla, also said he expected only a third of shareholders to sell, meaning the deal would be valued around $24bn. The episode drew attention from the US Securities and Exchange Commission, which reportedly is investigating Tesla for possible manipulation of the stock price. At least two lawsuits seeking class-action status also have been filed alleging Musk broke securities laws by making it sound like financing for the buyout was lined up. James Cox, a Duke University professor who specialises in corporate governance and securities law, said regulations prohibit companies from making misleading statements that influence the markets. "The fact that he's now backing off so quickly, within a matter of weeks, indicates the insincerity in which the first statement was made," Cox said. While Musk disclosed the possible buy-back on August 7, he didn't reveal all contingencies including that the Saudi fund had to investigate, said Peter Henning, a Wayne State University law professor and former SEC attorney. "I think his most recent statement shows that this wasn't thought through," Henning said. "That's going to be a concern for the SEC because that's how investors can be misled, with incomplete information." 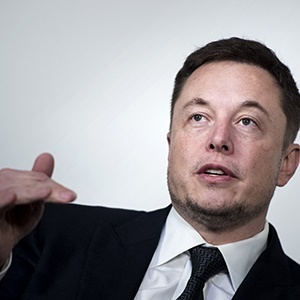 The SEC also is likely to look at Musk's disclosure to some investors before others, which also is prohibited if there's reason to believe the investors might trade stock based on the information, Cox said. Calling the whole thing off, though, might also be a defense for Musk, Henning said. "He could say I was just testing the waters. I was just thinking out loud, so I didn't mean to mislead anyone on this." Investors stuck with the company, although since the run-up on August 7 shares have retreated. They closed Friday at $322.82, 6% below the opening price the day of the tweet. Some bullish investors still say Tesla has great growth potential. Shareholder ARK Invest recently wrote to Musk urging him to keep the company public and saying that $420 per share is too low. But Consumer Edge analyst Jamie Albertine, who had been a Tesla optimist, cut his rating on the company and urged the board to bring on a seasoned executive to help manage it. On Saturday Albertine said that while second-quarter earnings indicated positive trends, the events of the past few weeks are "enough to make us uncomfortable."